Synopsis: Two decades after the first Independence Day invasion, Earth is faced with a new extra-Solar threat. But will mankind’s new space defense be enough? When Independence Day came out back in 1996, it changed the Summer Blockbuster forever. It changed the way studios thought about making films and made Will Smith an automatic star in Hollywood. Needless to say, Independence Day was a huge hit. While a sequel was in wanted by the studio way back when, it never came because Roland Emmerich and writer Dean Devlin couldn’t crack the story. Fast forward to today, where every studio in Hollywood is trying to create franchise and their own universes, but are always going by the motto, “what old is new again.” Cue Independence Day: Resurgence, and trying to copy what the original did and try to catch some of the nostalgia going around. So, does Resurgence work? Well, sort of. The film takes place twenty years after the War of 1996, as they call it in the film, and the world leaders have put aside their differences to use the technology from the aliens to better their own world, and create their own advanced technology like weapons, spacecrafts, and defensive bases within the solar system. Of course, everyone knew they might be coming back, but it might be worse than they originally thought when former President Whitmore (Pullman) gets a vision that suggests another alien invasion is coming sooner than we all thought. Meanwhile, David Levinson (Goldblum) goes find an old ship that has been mysteriously turned on, and finds out that it has sent out a distress beacon. While this is happening, up on the base on the Moon, former pilot Jake Morrison (Hemsworth) and his flight partner Charlie Miller (Tope) welcome the new flight team that is lead by Dylan Hiller (Usher), the son of Will Smith’s character from the first film that tragically died in-between events of the film, and now carries on his father’s legacy. 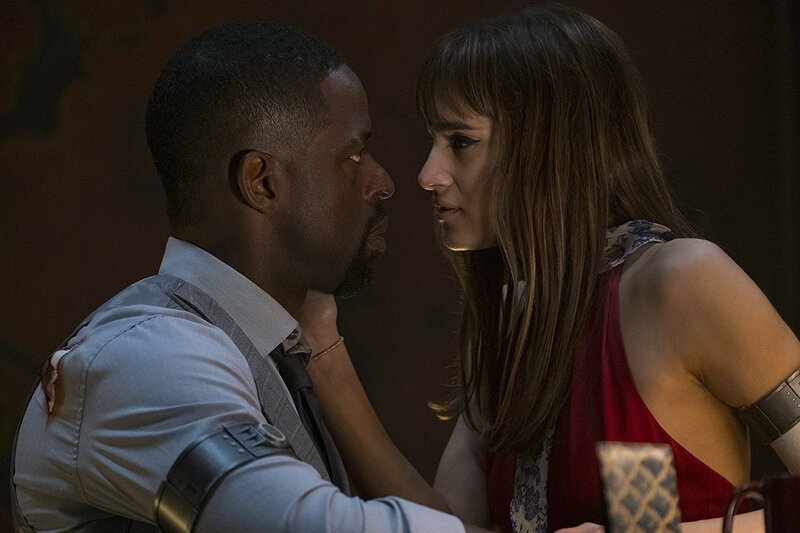 We also find out that Jake and Dylan have a history together, and also have a common friend in now an adult Patricia Whitmore (Monroe), who works for the new president in President Lanford (Ward). Eventually, Whitmore’s vision comes true and a new mothership comes, which as David puts, it is “definitely bigger than the last one.” What follows is all of our old and new band of heroes coming together to stop this new threat and save the world once again. At this point, we should all know what we are all walking into with a Roland Emmerich-directed film: Mass Destruction. 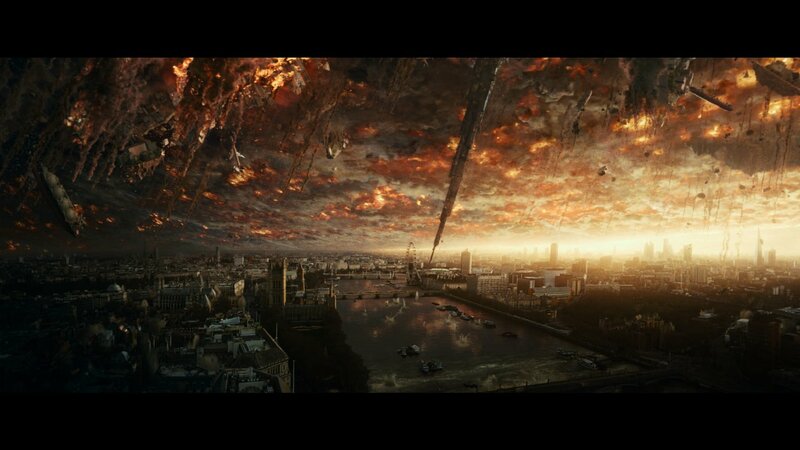 We get that in Independence Day: Resurgence early on when the new mothership comes to Earth and covers most of the Pacific Ocean, it takes out a couple cities, London and I believe Tokyo or Hong Kong (I wasn’t sure and it wasn’t said). 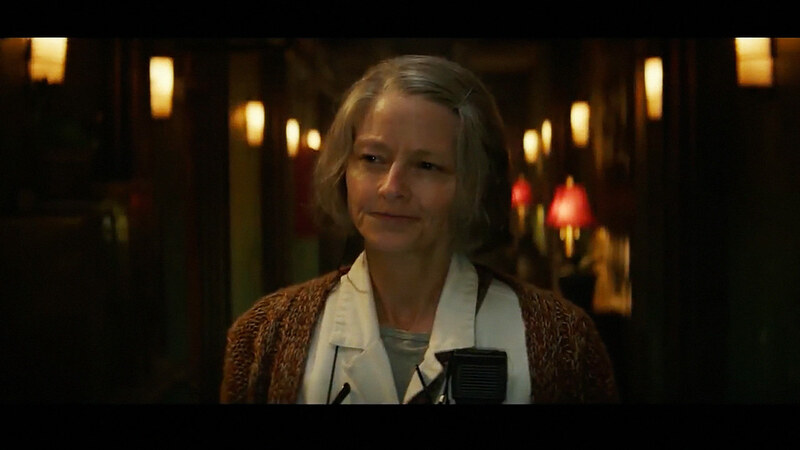 The destruction scene feels similar to what we’ve seen before, I mean, a lot has been done since 1996, and Emmerich has tried to destroy the world a lot sense then too. The ship having its own gravity is a nice twist, but it’s never really bought up again. The real focus of the film is the humans, and here is where we have a mixed bag. None of the new characters really stand out, and it’s nothing against them as actors, it’s just that some to most of all the characters arcs are underdeveloped. Then there actors, like Vivica A. Fox, Judd Hirsch and Sela Ward who don’t really do anything of significance at all. 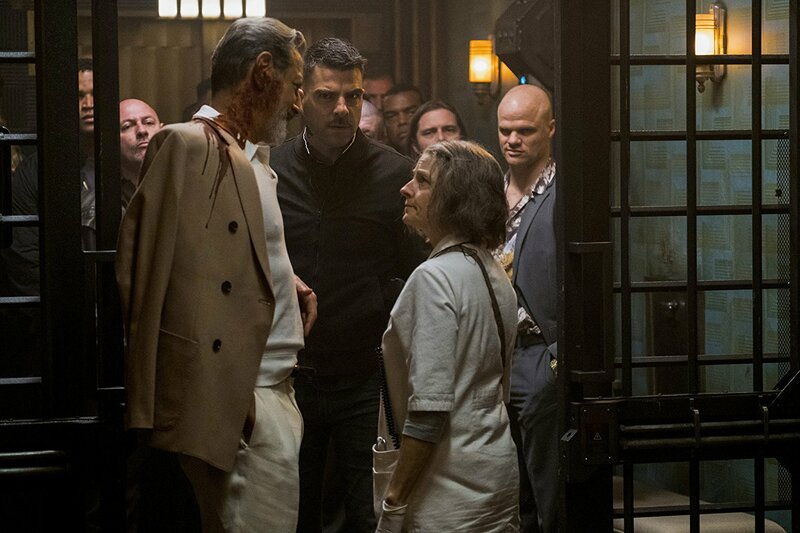 Even Bill Pullman takes a bit of a backseat, while Brent Spiner as Dr. Okun is trying a bit too hard to act like he did in the original film, and his return does make some sense, for those wondering how the hell he’s back. 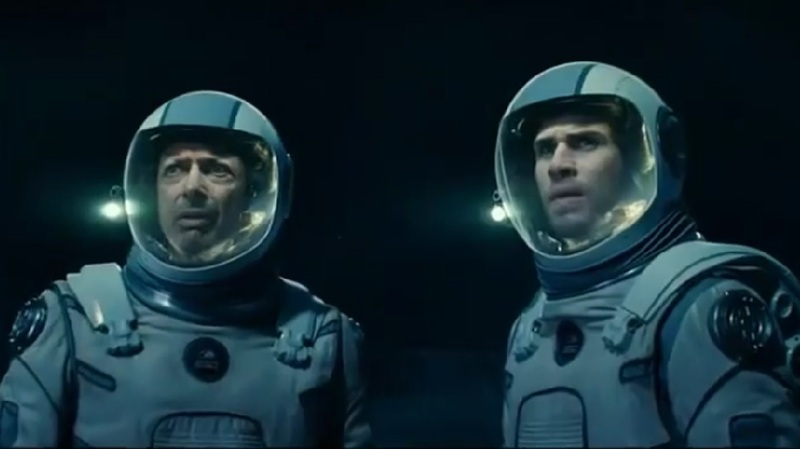 The last returning member is Goldblum, whose character is now head of the Space Defense Program, but his character isn’t as fun as he was in the original. Jessie Usher as Dylan Hiller is okay, but he isn’t Will Smith, not many are, and while that sounds like an insult, I wasn’t trying to say it as a negative thing, but he doesn’t really give off the same charm. Hemsworth feels like he’s really the bigger lead character as Jake Morrison. He’s also got a little more going on than the other characters, but like the other characters isn’t developed enough to make us have any real connection. Maika Monroe, who I have become a real fan of, tries to standout, and while her arc makes a bit more sense, again, it’s underdeveloped and pushed aside for the sack of having more action. 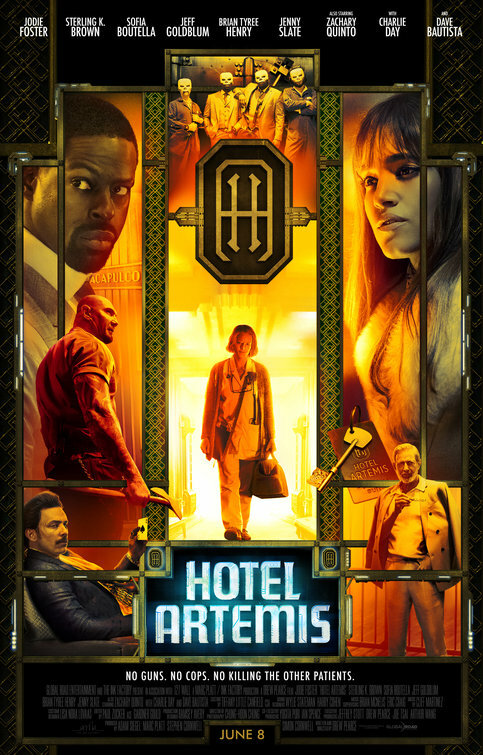 The rest of the supporting cast is okay with William Fichtner plays a General, Charlotte Gainsbourg plays someone from David’s past, Deobia Oparei plays a warlord’s son that has a strange connection with President Whitmore, and Dr. Okun. Nicolas Wright plays Floyd Rosenberg, a lawyer of some sort, who is one of the comic reliefs, yes I said one, because the other is Travis Tope’s Charlie Miller, who is friends with Hemsworth’s character. 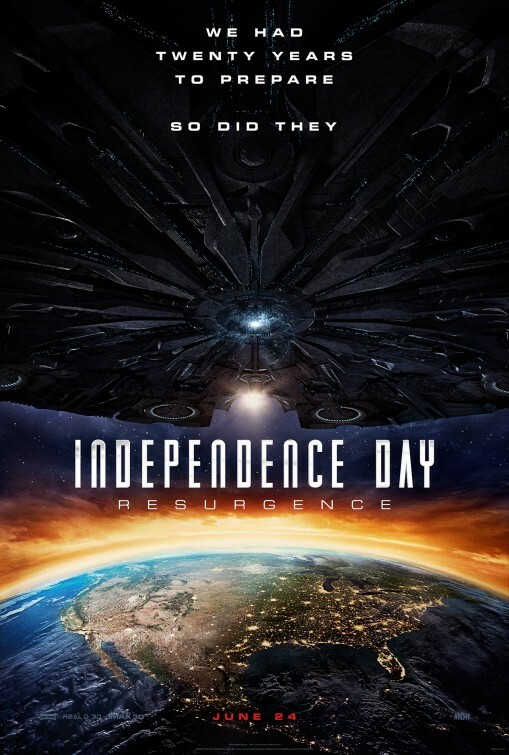 While it sounds like I’m bashing Independence Day: Resurgence, I did have some fun watching it, and not in the fun making fun of it while watching, I thoroughly enjoyed a great deal of the movie because let’s face it, none of us were walking into this thing thinking, Oscar winning, grade-A acting, and sophisticated story and plot. No, we walked in to turn our brains off and watch some humans vs. alien’s action. 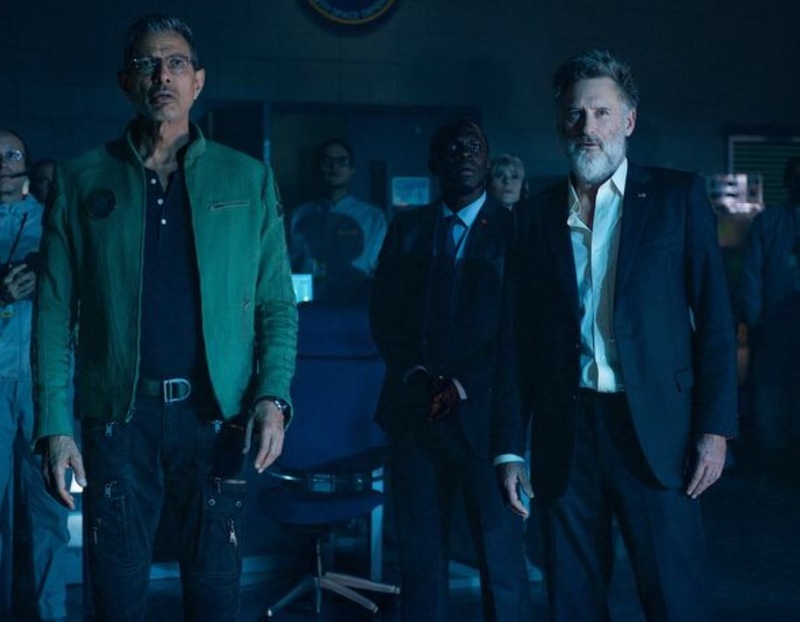 All in all, Independence Day: Resurgence is dumb fun, which is probably what many expected, but regardless, the film does have its pitfalls that make it go from okay and fun, to it’s alright and fun. The only gripe I have with the film is the ending which is a completely opened ended film that feels a bit cheesy for it’s own good. Small thing, considering the world we live in with Hollywood now, but it doesn’t mean we can let things like that pass.